This week we have our first guest blog post by Elly Barnes, who was voted No. 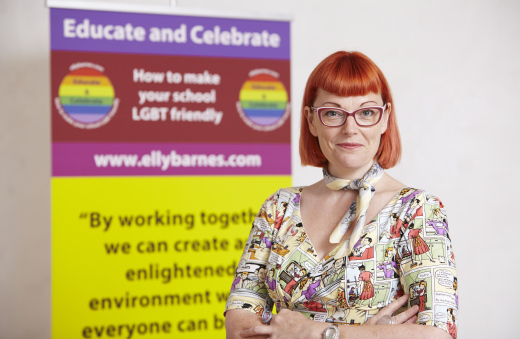 1 in The Independent on Sunday’s Pink List 2011 for her commitment to people who identify as Lesbian, Gay, Bisexual or Transgendered (LGBT) in education and awarded a ‘highly commended’ by the TES ‘Teacher of the Year’ 2012. The LGBT movement has been a long and contested one, but a movement which, in recent years, has begun to gather pace across the country, with some profound changes made to the social and legislative frameworks, including those in the education sector. School governing bodies must now take steps to create an inclusive working and learning environment where the rights of LGBT persons, including both staff members and pupils, are promoted and protected at every level. Previous Previous post: Cut Benefits to Stir Up the Skivers?